The reason for that pinched or crimped look is that its easier to manufacture. However, it gives the fence an extremely low-end look. Those crimped tips are also thinner and sharper than a true finial as well. 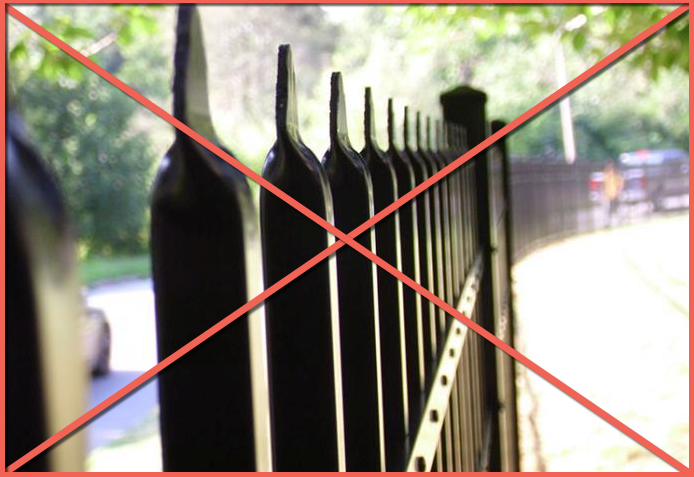 Some aluminum fence companies will offer finial tips on their fence, but they are a HUGE up-charge per panel and what you get is often a cheap finial made of plastic that has to be glued on. 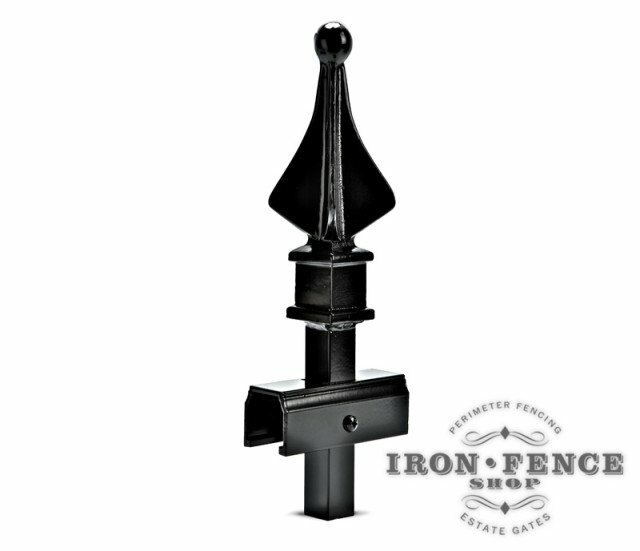 A lot of time these finial tips will fade at a different rate than the fence panel making them look even cheaper over time. 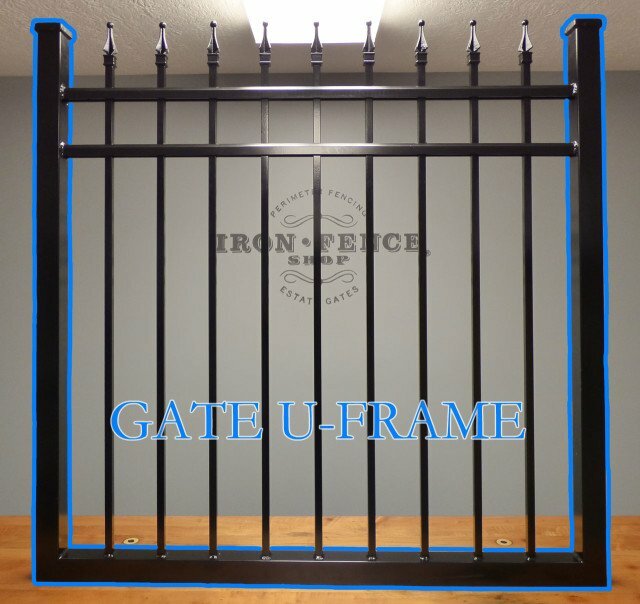 Many aluminum fence manufacturers simply punch a square into their posts that the fence panel rail slides into. While this makes producing posts easier, it leaves a bit to be desired. The first is that it makes for a loose connection. 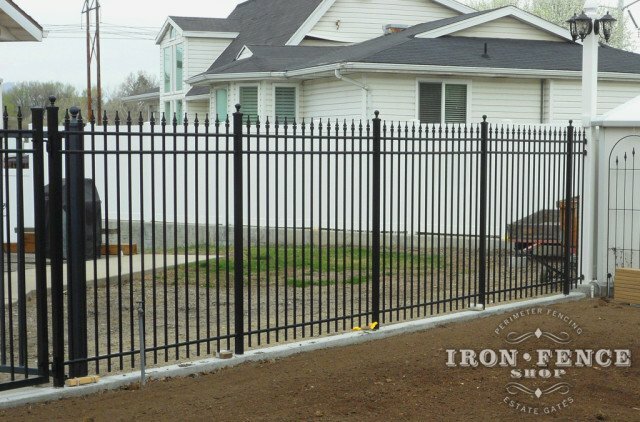 The fence has a lower end look with space around the fence rail and can make the fence feel cheap if the panels can rattle around in the punch. 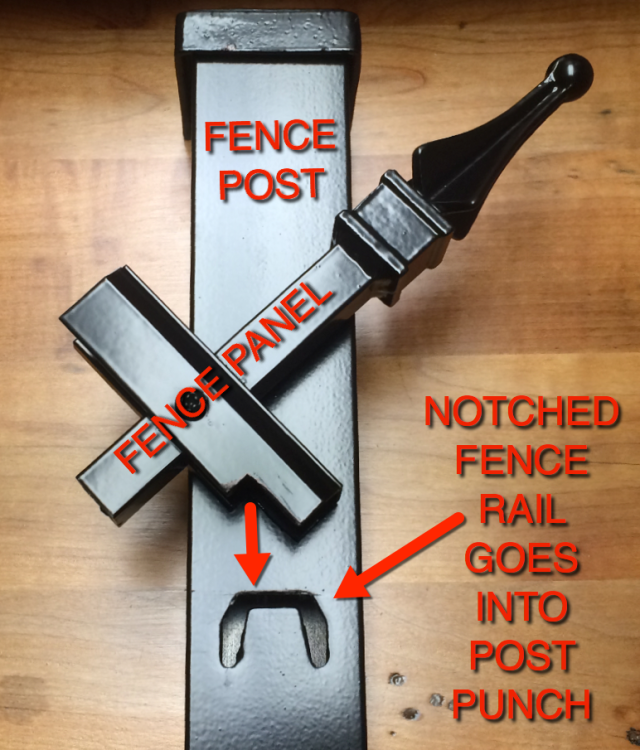 This squared punch also leaves a massive opening under the rail with full access to the inside of the post. Nesting insects like bees, wasps and yellow jackets can get in there and make a massive next that can be difficult to remove. So much so that there are products sold to plug those openings! 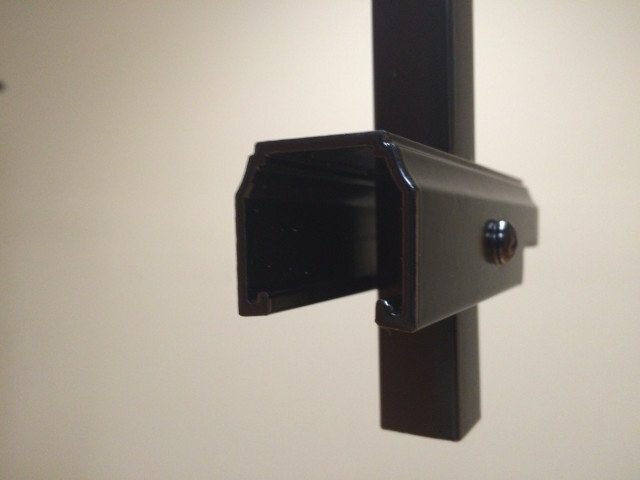 As you can see in the photo above, we punch our aluminum posts to follow the contour of our bevelled rails. This makes for a tighter connection, a cleaner look and no openings for nesting insects to get in.